The Minister of Information, Lai Mohammed has said a dragon has made away with $486 million, a loan given to Nigeria by World Bank. This was revealed to newsmen by Mohammed minutes after the money was received from World Bank. He said on landing the Nigerian soil, the money was made away by unknown dragon. 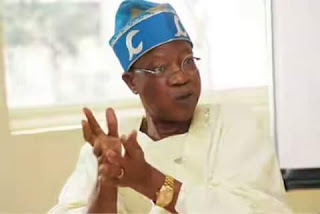 Briefing Newsmen after Plenary, Lai Mohammed said that since the money could not be accounted for, or on his bank account the money was transfer into, maybe this time Dragon have made away with the money. This is coming after a shocking confession of an official of the Joint Admission and Matriculation Board, JAMB, which claimed that a mysterious snake allegedly swallowed N36 million naira, from the Board’s vault, which she made from the sale of scratch cards, another that of a monkey which swallowed 70 million naira.